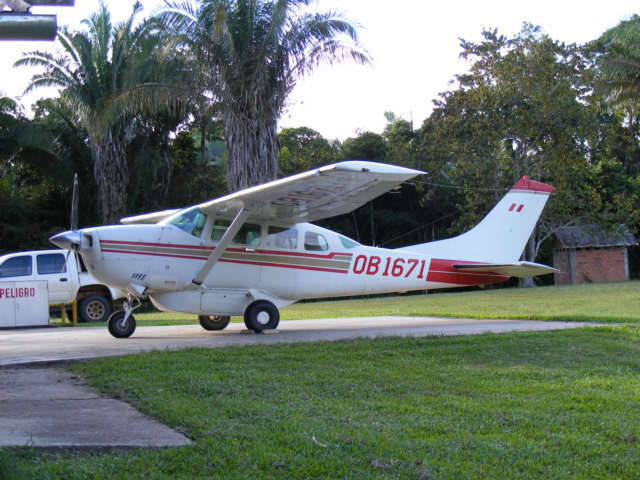 Yesterday, Chelo and I went and talked with two pilots who work for Missionaries. It was interesting to hear real opinions on the isolated tribes who do not have regular contact with the civilized villages. The price to fly is about 600 US Dollars one-way, however not simple and clear, and the Swiss Pilot said not possible because of rules. 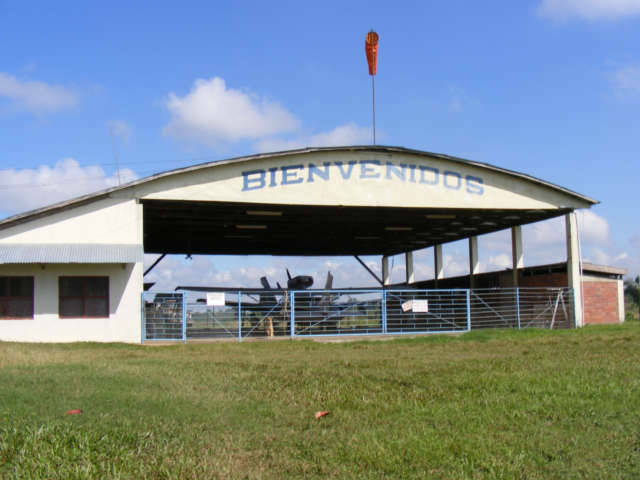 This is the hanger where a couple of planes are locate on the lake called Yurinacocha, a five Soles Moto-Taxi ride from Pucallpa, then a 15 minute boat ride from the village of Puerto Callao on the lake to this hanger. As best I can surmise they all have grass strips, and I do not think easily identified with Google Maps. Chelo the guide on the left, and Alberto the pilot on the right. 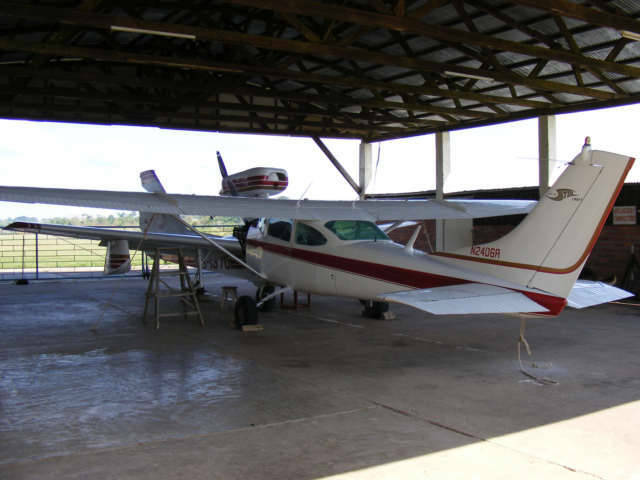 One of the planes at the Swiss Mission, we talked with a pilot from Fort Lauderdale, USA there. This is the Swiss Mission at Kilometer 15 marker on the road going towards Lima. It cost 20 Soles for the Moto-Taxi and we paid 10 Soles per hour as a set fee per hour. 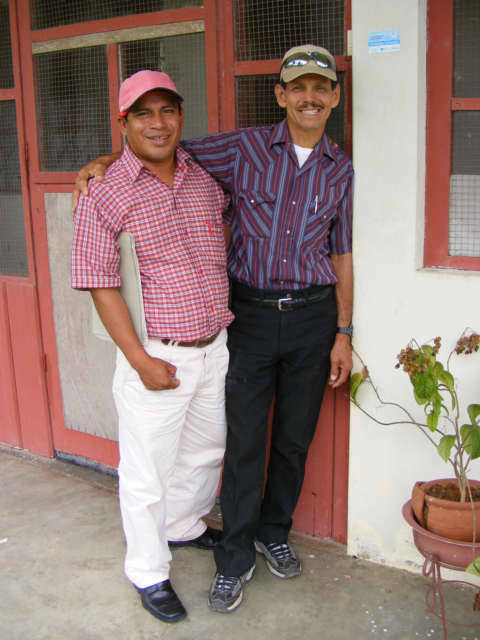 As I was entering these two Missionary type facilities, and I was thinking to myself about other travelers and how talking with Christian Missionaries could cause me a problem if they were with me. Many of the travelers are incredibly closed minded about the Christian Religion, yet would go to a Shaman here to do the drug Ayahuasca, hoping to have some spiritual something, yet closed minded on anything close to their own culture, a true I hate authority contempt before consideration situation. I think half of the tourism here in Pucallpa is for people wanting to have a Ayahuasca Drug experience.